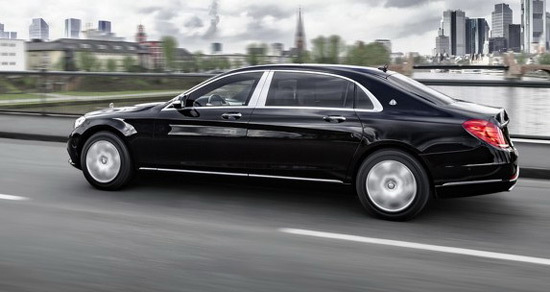 Mercedes has presented its S-class Maybach model in November 2014 at the Auto Show in Los Angeles, while early next month in Geneva will expose a S600 Guard armored version. 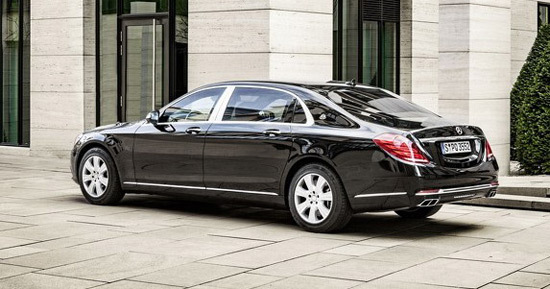 The Mercedes-Maybach S600 Guard is the first passenger car with VR10 ballistic protection level, which according to the German company makes “the safest passenger car in the world”. The car is also equipped with components of aramid, glass with reinforced polycarbonate layer and protective segments in the doors and under the vehicle in order to provide maximum protection for passengers from explosions. 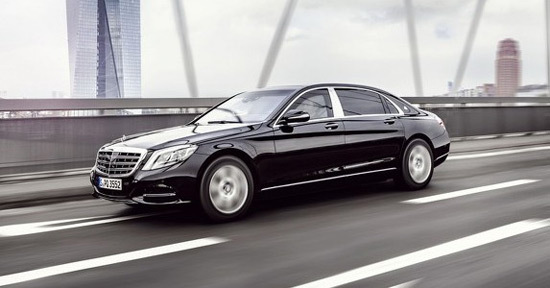 In Germany Mercedes-Maybach S600 Guard will cost 470,000 euros (price without taxes) or $518,000, and will join the already existing offer of armored vehicles, such as G500 Guard, GLE 350d 4MATIC Guard, GLE 500 4MATIC Guard, Guard S500 and S600 Guard. As a reminder, the length of Mercedes-Maybach S-Class is 5453 mm, wheelbase is 3365 mm, and the S600 version is powered by 6.0-liter V12 twin-turbo engine with 530 HP and 830 Nm.